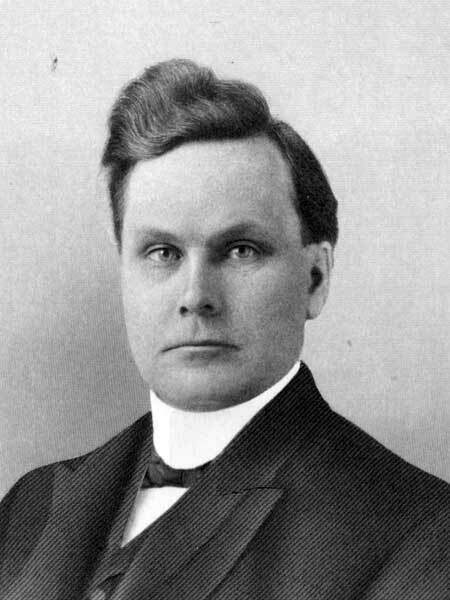 Lawyer, Mayor of Brandon (1907-1908), MLA (1916-1920), judge. Born at Cookstown, Ontario on 14 October 1867, son of Stephen Clement and Eleanor Dixon (1841-1931), in 1882 he came to Brandon with his father. He completed his education at the Collegiate Institute and Wesley College, Winnipeg, graduating with a BA in 1892. He studied law with Clifford Sifton and J. A. M. Aikins, and was called to the Manitoba Bar in 1895. He establised a law practice at Brandon in partnership with his brother Robert A. Clement, working as solicitors for the Dominion Bank and various loan companies. On 30 August 1899, he married Aleta Elizabeth Paisley, daughter of James Paisley of Brandon. They had four children: Harold Dixon Clement (1903-1979), Ethel Ruth Clement (1906-?, wife of Donald W. Coburn), Robert James Clement (1910-1982), and David William “Bill” Clement (1915-1992). He served two years as a Brandon city alderman and six years as a trustee on the Brandon School Board. He was Mayor of Brandon from 1907 to 1908. He was a representative of the Council of Bar Associations for the Western Judicial District, a Bencher for the Law Society of Manitoba, and a Director of the Brandon General Hospital. He was a director of the Provincial Exhibition and the Manitoba Winter Fair, a director of Wesley College, and a trustee of First United Church. He played rugby and lacrosse, and was a lover of fine horses. He was President of the Canadian Club in 1912. In 1914, he unsuccessfully contested the Brandon City constituency in the Manitoba Legislature against G. R. Coldwell. In 1915, he defeated James Aikins, Leader of the Conservative Party, and served one term until being defeated in the 1920 provincial general election. From 1927 to 1944, he served as a county court judge. He died at Brandon on 31 December 1947. He is commemorated by Clement Drive in Brandon. “Mrs. S. E. Clement, Brandon pioneer, dies in 75th year,” Winnipeg Free Press, 16 November 1950, page 14. Obituary [David William Clement], Winnipeg Free Press, 20 April 1992, page 30.